who always fell in the water." Heather Fell in the Water is a picture book about a little girl who falls in the water, any water, all the time. 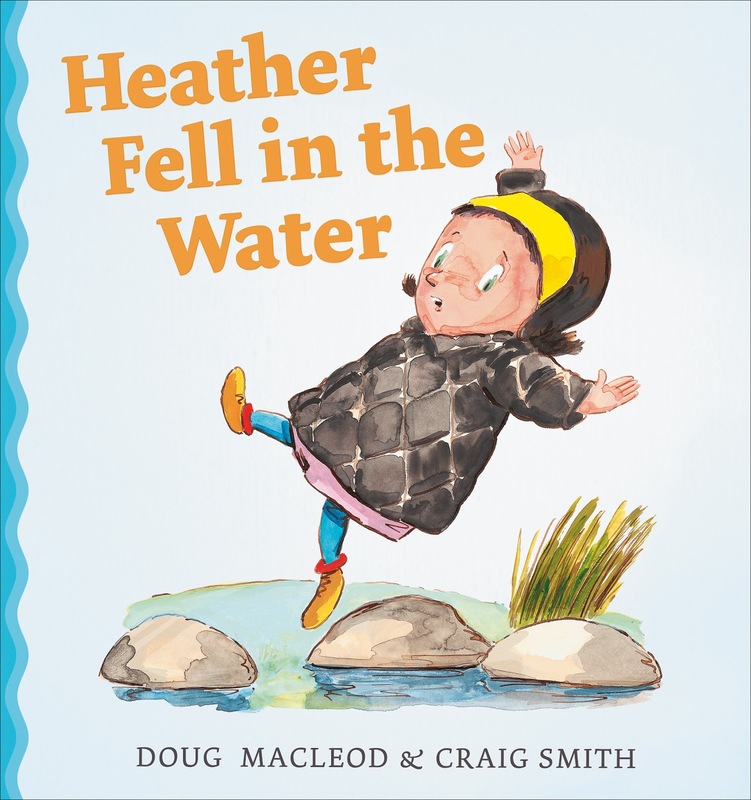 Heather Fell in the Water is a sweet, funny story that will definitely appeal to kids who hate swimming and putting their face in the water. My favourite things are the illustrations by Craig Smith. From end paper to end paper the pictures are incredibly bright, engaging and alive. Little Heather has so much expression and character you can just feel her frustration and the pictures of her being forced to wear water wings (floaties) everywhere are really funny. The story is just crazy enough to appeal to kids but real enough for parents to use it to encourage kids to try new things.